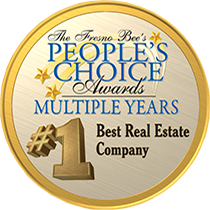 Juventina Gutierrez is a REALTOR selling in the Madera and Fresno counties. Online real estate sources like Zillow use what's called an Automated Valuation Model (AVM). AVMs compare only historical sales prices in your neighborhood, which can be misleading. An AVM considers recent sales, square footage, or major features such as a pool, but AVMs cannot calculate or allow for quality, upgrades, remodels, layout, curb appeal, style, décor, age of roof and appliances, and many other factors including private party sales, all of which are important when determining your correct asking price. A CMA from your London Properties associate will provide a more accurate valuation. Your associate will compare layouts, upgrades, quality, etc., and identify the sales that are truly most like your property. Our experience is that starting with the wrong asking price frequently causes Sellers to end up with a lower than necessary sales price. Ordering professional Home and Pest Inspections before you list your property is the best way to avoid surprises after you have accepted an offer and are in escrow. Generally, once you accept the buyer's offer and open escrow, the buyer will hire professionals to inspect the property. If a major problem is uncovered, such as termites, the buyer has a few options and, in most cases, will ask for substantial price deductions or for the repairs to be made before the close of escrow at your expense. By doing your own inspections before you list your property, you will have an opportunity to eliminate problems in advance and put yourself in a better negotiating position. You may even have the opportunity to price the repairs cost into your asking price. One of our goals is to market the property only to qualified buyers. However, national websites such as Zillow will expose your property to a world of unqualified buyers, some of which may even ask to enter your home for ulterior reasons. The reality is in today's world you need to consider your family's safety. You only want safe, qualified buyers, pre-screened by your REALTOR®, to be in your home. Of course, before you show your property to any potential buyers it's recommended that you remove any medication, cash, jewelry, weapons, and even small, sentimental items that can fit in a purse. In addition, it's important to maintain your home owner's insurance policy through the close of escrow. Following your agent's recommended safety precautions helps to eliminate problems before they become one. When you list your home for sale, you want to paint a picture for the buyer allowing themselves to envision and to desire living in the house. You certainly won't want to give the buyer the impression that a room is too small or an odd shape, that there isn't enough closet space, or that the house feels cluttered. Staging and decluttering are two important ways to showcase your home so that you get the highest and best price. With their marketing experience, the right REALTOR® can make decorating and staging suggestions that can truly make a difference. You may want to consider purchasing a Home Warranty policy as soon as possible. The cost is very small and the policy could pay for the repair or replacement of HVAC, major appliances, and many other systems that could fail between now and the time you close escrow. The existence of a policy may even help to make your home more appealing to a potential buyer. Other than cosmetic items, your London Properties agent may advise against negotiating any agreements to make major upgrades as part of the purchase agreement. For example, a seller may be asked to provide new flooring prior to close of escrow. The problem with this strategy is that additional repairs may then come up in escrow, the property might not appraise, the buyer may not close as agreed, or for a variety of reasons the initial contract price may not be the final price. It may be better to take any repairs or replacement costs into consideration, list the property as-is, and let the buyer make any decisions they want once they own the house. In California, sellers have a legal obligation to disclose any and all material facts about the property. Sometimes, sellers believe that an "as-is" provision in the purchase agreement absolves them of the duty to disclose material facts and known defects to a buyer. That is not the case. Every seller has an obligation to disclose material facts concerning the property and to make full and accurate written disclosure of any known defect. This should include "any knowledge or information that could affect a buyer's decision to purchase your property." Such things may include, but will not be limited to, defects (past or present), missing governmental permits, deaths which have occurred on the property, past insurance claims, leaks, flooding, hazards, neighborhood nuisances, or potential future events which a reasonable person would expect to negatively affect the property's value. Communication and complete disclosure go a long way towards reducing legal problems and expense. Over the past 50 years, London Properties has created numerous proprietary disclosure forms to both ensure our clients have made all required disclosures and to, at the same time, protect themselves from inappropriate or unnecessary post-closing claims.